Prekidamo putovanje na kratko, zbog nove suknje koja je stigla sa sajta Lovelyshoes ( mozete pogledati ovde). Kada sam birala sta cu naruciti nisam ni slutila da ce suknja biti ovako dobra. Znate vec da je ovaj kroj moj omiljeni. Dok sam birala ovu kombinaciju, kroz glavu mi je proslo jos nekoliko i jedva cekam da vam pokazem i njih. Naocare su sa sajta Emblem eyewear. Hvala im puno jer su me obezbedili za narednih 12 meseci, hahaha. Vidimo se uskoro, kada cemo setati ulicama Milana. I make a short pause for posts from my vacation. I got my new skirt from Lovelyshoes.net ( you can see here). And you know what? I am in love with this skirt. Amazing model and colors. I have a lot of outfits in my head and can't wait to show you. Sunglasses are from Emblem Eyewear. I got three pairs of glasses from them and I showed you all of them. And what do you think about this yellow mirrored lens? Have a nice week. Una falda preciosa, el look entero es fantástico. Bss guapa. I love this skirt too! Very pretty and so perfect for summer! Great skirt! 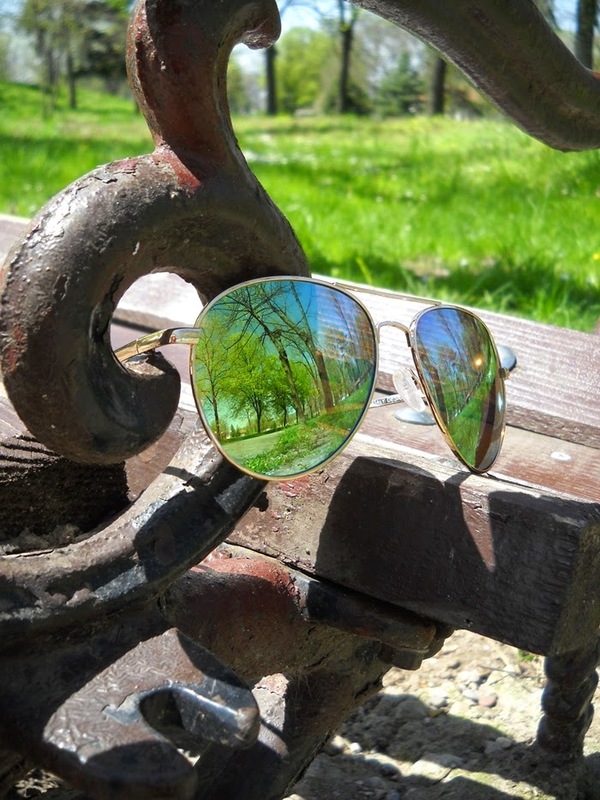 Perfect for spring, love the sunglasses. This is such a lovely outfit. Im in love with your skirt too! I'm also in love with your skirt!! The skirt is so cute. I love it! You look very beautiful dear! Amazing outfit on you! The skirt really is so beautiful, especially for the upcoming summer! You look amazing! I love the skirt. The color of the shoes is perfect! Love the Skirt ,and you are so beautiful ,it is amazing! This skirt is absolutely amazing and those shoes are just perfect! Wonderfull look! Your legs are amazing! Wow you look gorgeous! Love those sunglasses and your shoes!! New Post is up: 6 Ways To Stay Positive and Feel More Happy In Your Life. Hvala ti na komentaru Tijana, mozemo se pratiti ako zelis..
You are stunning! I love this color pallet on you, too. 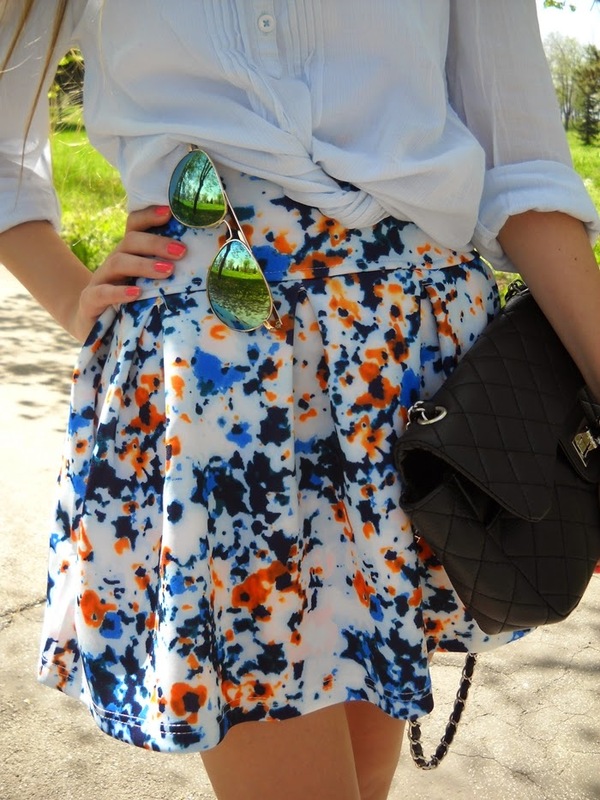 Great skirt and sunglasses! Love the skirt :). I really like your blog and I'm following you now! Love your shoes and the skirt is pretty too! :) Have a great week! So gorgeous and your skirts are amazing! Thank you for visiting my blog! Came reciprocate and I'm following. Stunning as always! i love your heels! So pretty, love your floral skirt!!! Great legs doll!!! I love your skirt! Beautiful! Loving that floral skirt and the way you styled it! Those pink pumps are so cute! You look gorgeous sweetie! Lovely skirt and lovely pics! I understand you love this skirt - you look simply perfect in it! Tão linda! Um look bem primaveril. =) Gosto das fotos. I love love love the skirt, it's so elegant! I loved. She is beautiful. I love your look, what a beautiful skirt! You look amazing... lovely and hot..
outfit looks perfect on you..
followers window isnt seen. i couldnt follow.. The styling looks amazing, and btw your hair looks awesome Tijana. I suknja mi je jako lijepa!